I had this very low tolerance with heat so I was surprised when I had fun last weekend at the opening of Sandbox in Alviera, an Ayala Land property located at Porac town in Pampanga. 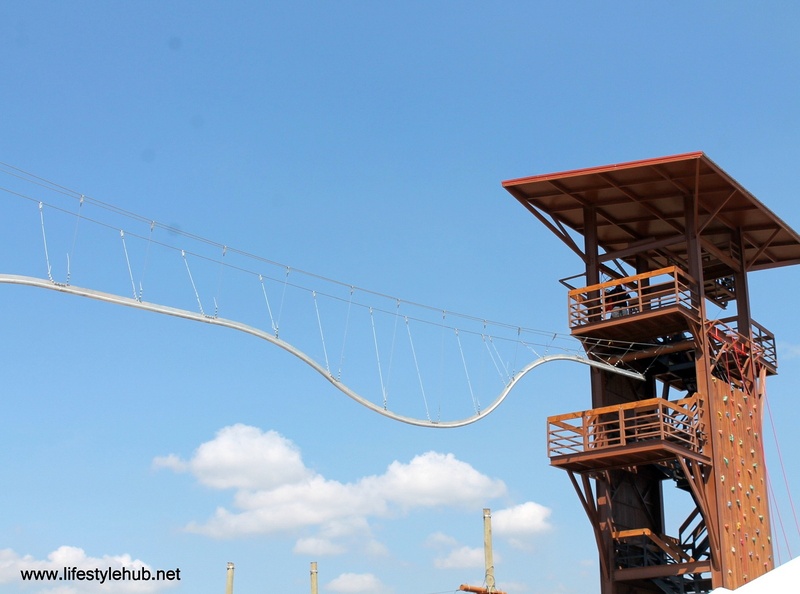 With a huge space that is ready to be converted to residential, retail and amusement parks, it is now the home of the Philippines' tallest swing, the first roller-coaster type zipline and a 15-meter multi-purpose Adventure Tower which is ready for wall-climbing, rappelling and free fall. The ones that I mentioned are only some and the first recreational facilities in Sandbox. 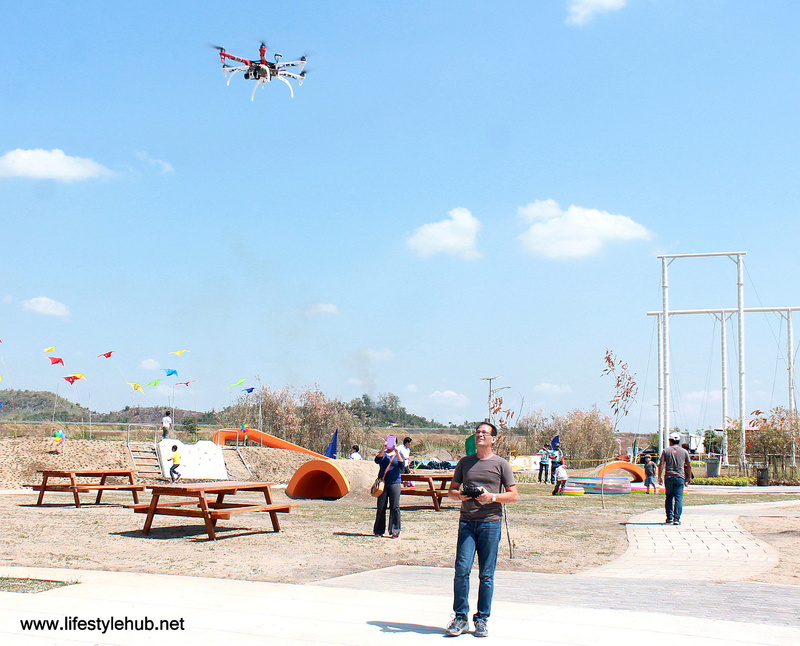 It will soon be the the venue of play for bikers, ATV riders, Frisbee players, kite flyers, RC (Radio-controlled aircraft) enthusiasts and car racers. It is also envisioned as the perfect venue for family picnics, kiddie games, and to concertgoers, the best of live shows. John Estacio, Alviera's General Manager, shared to the media that Sandbox is fun-ready when it opened last Saturday, April 12 but he said that massive construction is on its way to develop the 1,125-hectare Alviera property further. It was a very hot summer day last weekend, but here are some photos that I can share so you will have more options for an out-of-town activity aside from Baguio, Subic and Tagaytay. 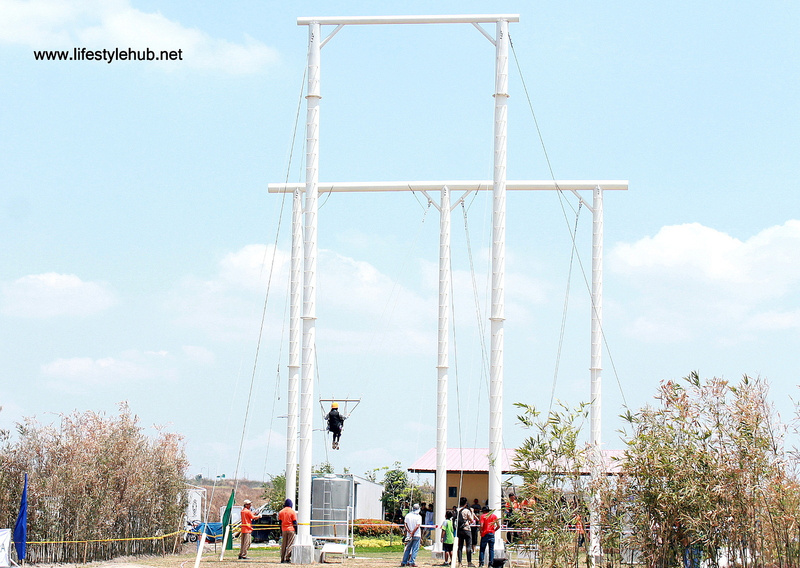 The Philippines' tallest swing is so tall that it could qualify as an extreme activity rather than a leisure activity. That's just me, maybe. 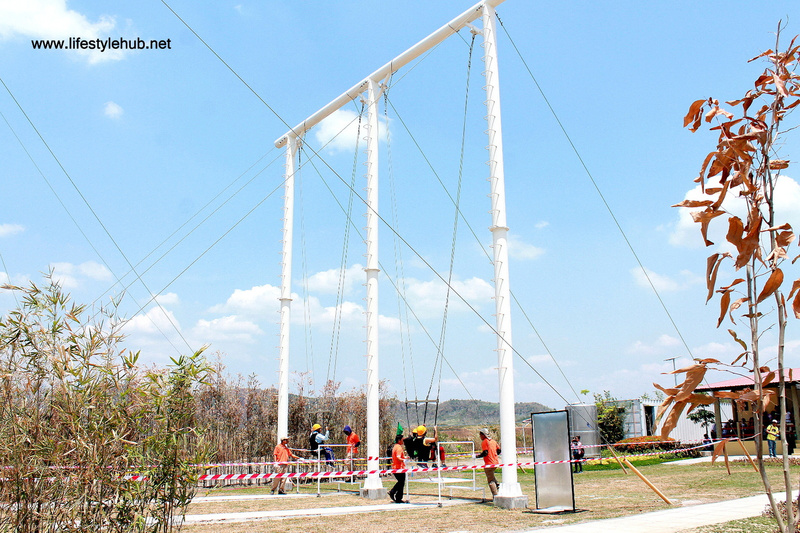 For those who love the feeling of beating gravity, the 10-meter tall giant swing is for you. The Avatar One (first photo in this batch) is the Philippines' first roller coaster zipline. You don't just zip on the 180-meter course. The ride involves rapid up and down movements in an average elevation of 12 meters high. The second photo, on the other hand, is the Aerial Walk Challenge. 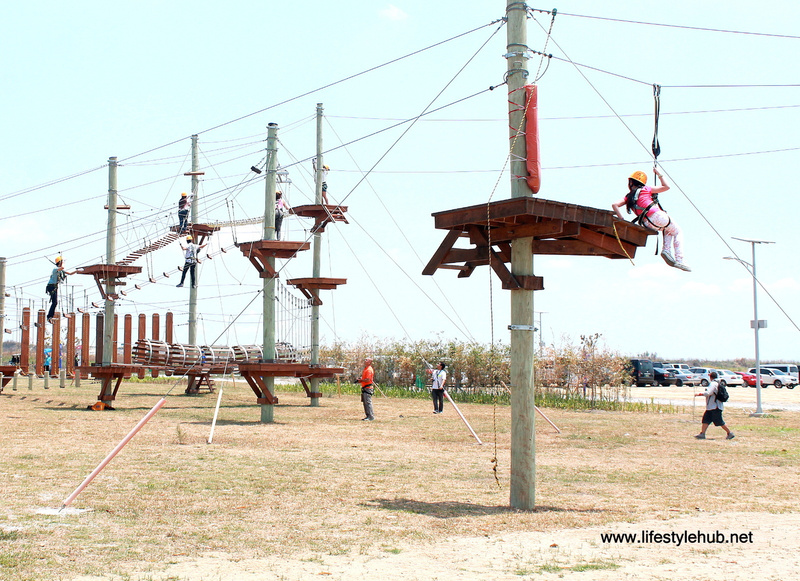 It is a high rope adventure course of nets and rope walkways. It is a test of a person's agility, balance an flexibility. The course may take 30 minutes to an hour to complete. The Adventure Tower is a 5-storey structure which hosts various activities including the one you see in the photos- wall climbing. You can also choose to rappel, jump off for the free fall or just climb through the stairs and enjoy the scenery from the view deck. The Adventure Tower is also the starting point of the roller coaster zip line. Other attractions in Sandbox include ATV and mini-ATV rides, mini-golf course, and a huge space for camping, field sports and outdoor concerts. 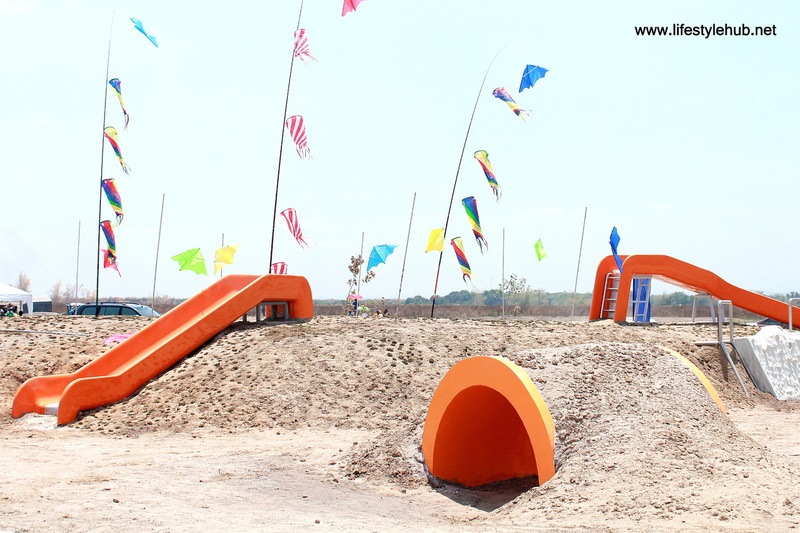 Sandbox is also a perfect activity venue for toddlers with the kiddie playground and picnic areas. The young at heart can also fly RC (Radio-controlled aircraft) planes, play Frisbee, bike or drive desert cars. 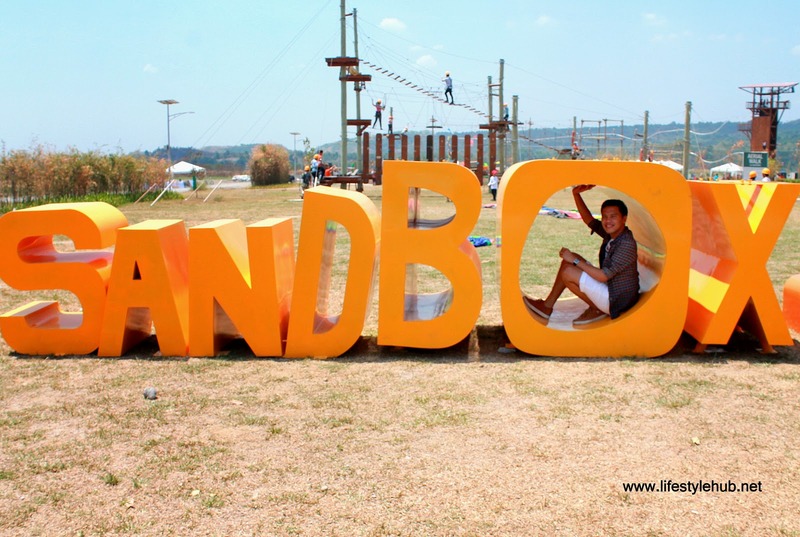 Sandbox is located inside Ayala Land's Alviera which is located in Porac town, Pampanga. It takes 1.5 hours to get to the park from Quezon City via NLEX. 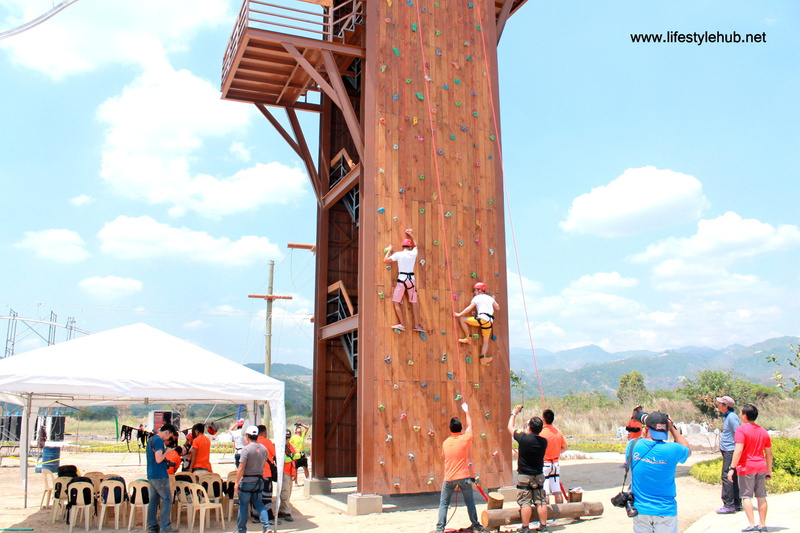 It is also accessible from Subic (45 minutes), Angeles City (25 minutes) and just 5 minutes from Clark.